Zari Hassan is a great mother. She is bringing up her children in the ways of the Lord. Zari and Diamond Platnumz’ kids, Princess Tiffah and Prince Nillan have already started school and they’re doing great. Princess Tiffah has already mastered the songs they sing in school including prayers. She is always praying for her dad, grandmother and family. 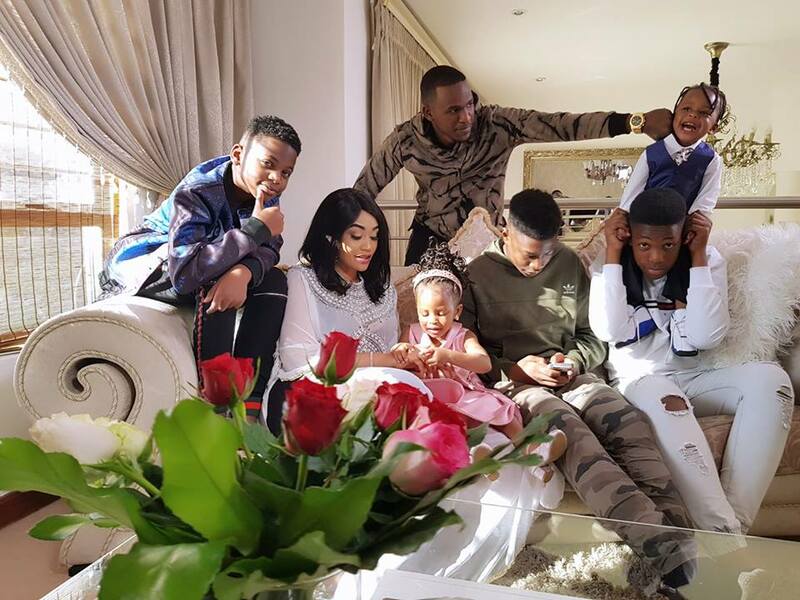 Diamond Platnumz was mesmerized and he commented on Tiffah’s message by saying that he loves his children. Praying for you guys as well.. Papa loves you so much. 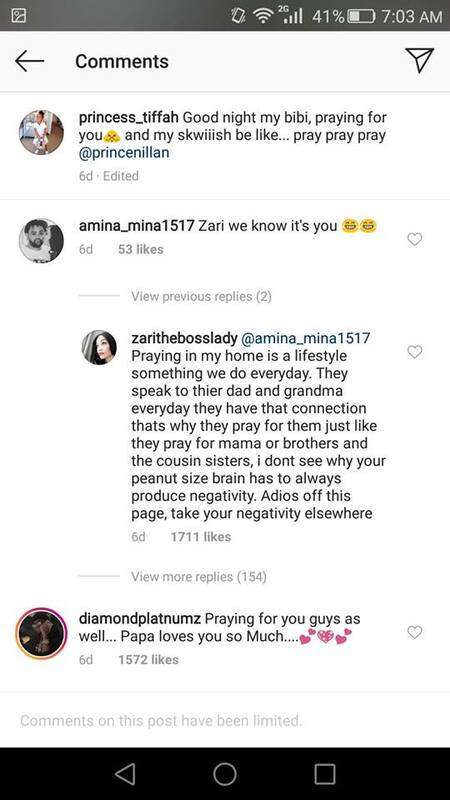 A social media user trolled Zari, claiming that she was the one praying in the video and not her kids but this did not go well with the businesswoman. She savagely responded to her troll. 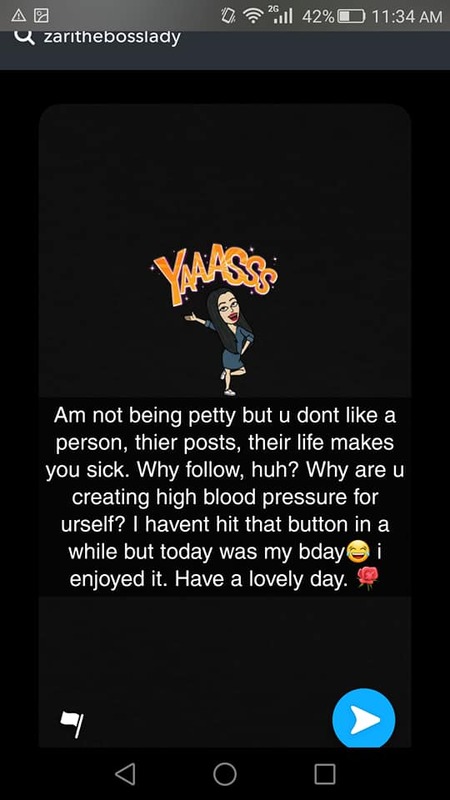 The mother of five through her Snapchat told off her critics especially those who follow her on Instagram using pseudo accounts. 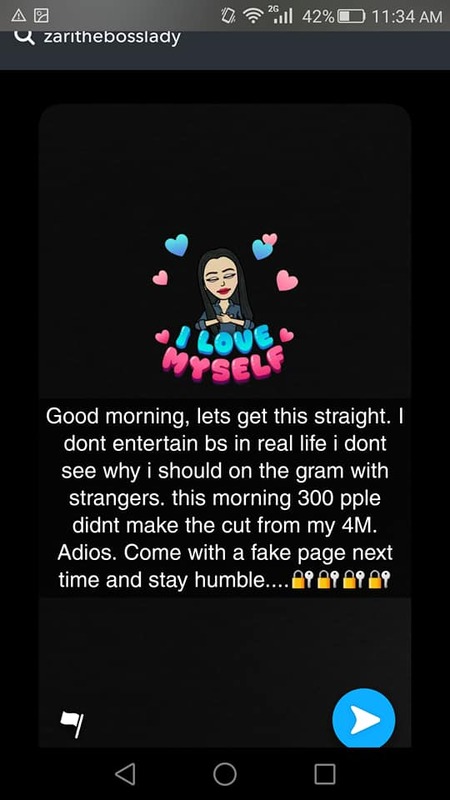 Zari has advised those who don’t like what she posted to keep off her page instead of commenting bullsh*t.
She revealed that she had blocked more than 300 people yesterday and was ready to block more if they don’t comply with her rules.